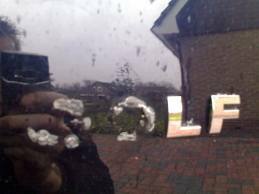 Looking for a great way to remove stickers, tapes, vinyl etc... fast and safe from your paint? 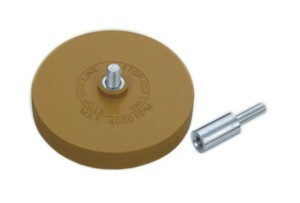 Check these NEW-generation Caramel Cleaning Disc which make this kind of job efficient and easy to do. These NEW-Generation Caramel brings a lot better performance on durability and longevity because these are partly formulated with natural rubber resources. 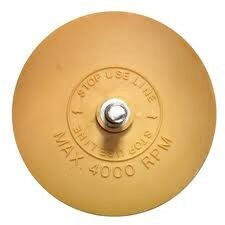 The Caramel Cleaning Disc is very gentle on paint yet powerful enough to get grip on the topped vinyl-layer. With a rotating equipment like a drill etc... you can easily remove the vinyl / sticker / tape etc... from the painted surface without damaging it. It performes out heatguns etc... by far, and a lot faster too. Apply it on a 1500 - 3500 RPM and off you go.